Academy Museum of Motion Pictures - "Opening in 2019, the Academy Museum will be the world’s premier institution dedicated to the art and science of movies. Located on Wilshire and Fairfax in Los Angeles, the Museum will be simultaneously immersive, experimental, educational, and entertaining. More than a museum, this dynamic film center will offer unparalleled experiences and insights into movies and moviemaking." Will contain over 290,000 square feet of state-of-the-art galleries, exhibition spaces, movie theaters, educational areas, and special event spaces. Future home of the Academy Museum: 6067 Wilshire Boulevard, Los Angeles, CA 90036, U.S.A.
AVA GARDNER MUSEUM - "One of North Carolina’s most remarkable attractions, honors the life, loves, and legacy of one of Hollywood’s most glamorous leading ladies." Smithfield, NC, U.S.A.
CinÉmathÈque FranÇaise - since 1936. Holds one of the largest archives of films, movie documents and film-related objects in the world. 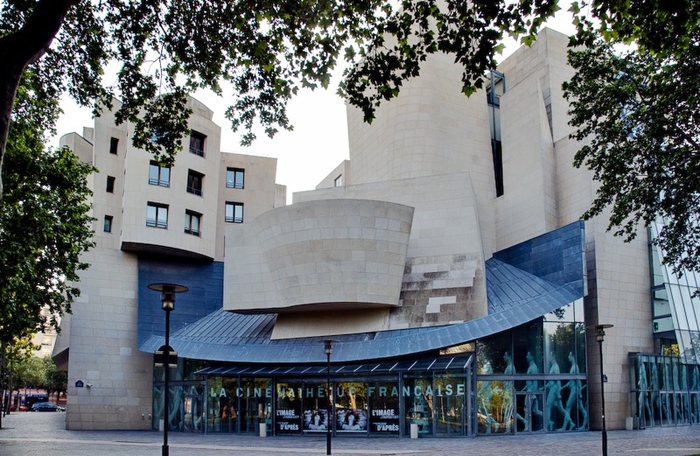 The Cinémathèque offers daily screenings of films from around the world. A required destination for cinephiles in the city of light. 51, rue de Bercy, 75012 Paris, France. DEUTSCHE KINEMATHEQUE - "A journey through film and television history encompasses cinema’s pioneering years, silent film divas, movies made during the Weimar Republic and under National Socialism, Marlene Dietrich, film professionals in Hollywood exile, the postwar years, and contemporary German cinema, as well as developments in television in East and West Germany." Berlin, Germany. DANISH FILM INSTITUTE - since 1972. The national Danish agency responsible for supporting and encouraging film and cinema culture, and for conserving these in the national interest. ocated in Gothersgade in central Copenhagen. Facilities directed at the general public include a library and Cinemateket which is Denmark's national film museum. GEORGE EASTMAN MUSEUM - since 1905. The world's oldest museum dedicated to photography and one of the world's oldest film archives, opened to the public in 1949 in 900 East Avenue, Rochester, NY 14607, U.S.A.
German FILM MUSEUM - "Dedicated to the medium of film, showcasing its history and present, its aesthetics and influence in a multitude of ways through exhibitions and screenings in its own cinema." Frankfurt am Main, Germany. HOLLYWOOD MUSEUM - since 1975. "The official museum of Hollywood, has the most extensive collection of Hollywood memorabilia in the world. The museum, featuring four floors of breathtaking exhibits, is home to more than 10,000 authentic show biz treasures - one of a kind costumes, props, photographs, scripts, stars’ car collections and personal artifacts, posters, and vintage memorabilia from favorite films and TV shows." Max Factor Building, Los Angeles, CA, U.S.A.
JAMES BOND 007 MUSEUM - "The world's first James Bond 007 museum loacated in Nybro, Sweden." 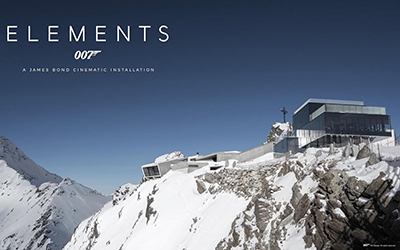 The museum displays everything related to the Bond movies from the original posters to motorcycles and cars used in the making. LONDON FILM MUSEUM - since 2008. It exhibits original props, costumes and sets from feature films. There is also a section on how films are made, including information on all the major studios. Covent Garden, England, U.K.
Museum of the Moving Image - "The Museum of the Moving Image exists to expand public understanding and appreciation of the art, history, technique and technology of film, television, and digital media by collecting, preserving, and providing access to moving-image related artifacts via multimedia exhibitions and educational programming. The exhibits include significant audio/visual components designed to promote an understanding of the history of the industry and an understanding of how it has evolved." Astoria, NY, U.S.A.
National Science and Media Museum - since 1983. The museum has seven floors of galleries with permanent exhibitions focusing on photography, television, animation, videogaming, the Internet and the scientific principles behind light and colour. It also hosts temporary exhibitions and maintains a collection of 3.5 million pieces in its research facility. The venue has three cinemas, operated in partnership with Picturehouse Cinemas, including an IMAX screen. It hosts festivals dedicated to widescreen film, video games and science. Bradford, West Yorkshire, U.K.